Only $5 a month for the Legendary tier. Join the PC Gamer club and, each month, we'll send you game codes, a digital copy of PC Gamer magazine, exclusive in-game items and, most important of all, the gift of friendship (and access to our Discord channel). You’ll also be able to browse the site without ads on both desktop and mobile. For $4 a month, you can become a PC Gamer Club Standard member, getting rid of all ads on the site and getting yourself an introductory digital copy of the Ultimate RPG Handbook and an invite to our members-only Discord channel, to boot. Legendary members, meanwhile, can enjoy those same perks while also getting a PC Gamer digital magazine subscription, new game keys and in-game items every month. Becoming a Legendary member only costs a $1 extra a month, but you get a lot more. 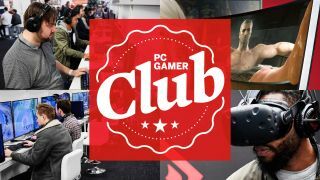 You can sign up to the PC Gamer Club right here, and our convenient Club FAQ will fill you in on everything you need to know about joining.